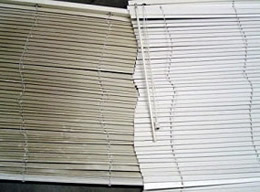 While restringing blinds is the repair service we do the most, there are all types of other repairs we can do on all types of custom blinds and shades. 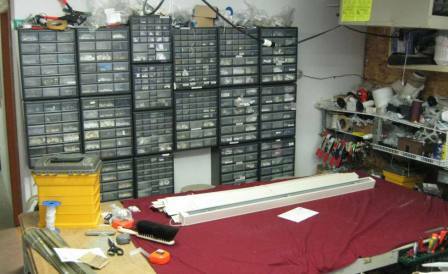 As you can see, over the past decade we've accumulated a "few" parts and can repair most shades here at our shop. No need to ship them anywhere or be without them for more than a few days (at most, if we can't get to the repair that day). For local clients, we also make house calls to restring blinds right in your home. As our shop hours vary during the week, it is always best to call first, before coming by to drop off a blind. 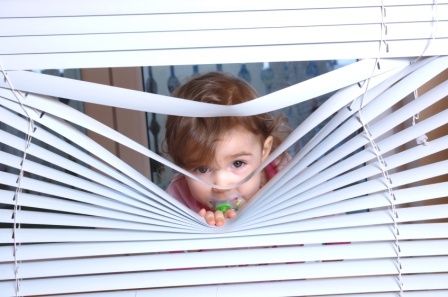 Repairs and service for all Hunter Douglas blinds can be arranged if we can't do it in our shop. We offer a 1 year warranty on our work for restringing and many other repairs (if you aren't coming back because the kids or the cat abused the same blind again). "Restringing" a blind or shade to us is defined as the process of carefully inspecting the product and not only pulling new cords, but also replacing or adjusting parts so that the new cord isn't just wearing out faster across old worn and grooved parts. Wearning out the cord after thousands of cycles on the blind is normal, how long it takes depends on many variables we can't predict. When a shade is restung correctly however, unless abused by a human or nibbled by a feline houseguest it should provide many more years of reliable service. 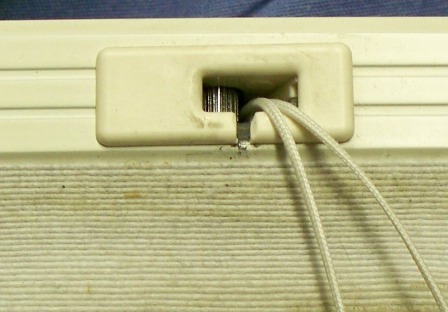 Some cord locks (like this one) are obsolete and can be replaced with a newer model, for other repairs parts may need to be ordered. 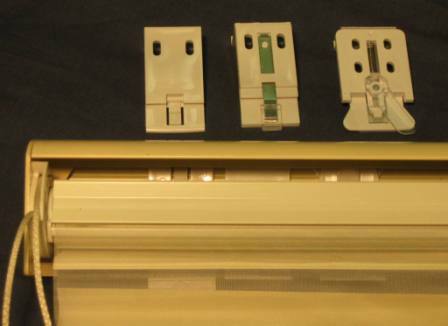 We also have common brackets for many blinds and shades. Below is pictured the progression of Silhouette brackets over the years. If you have the part or can bring in a small blind to make it easier to identify a workable part great. If not, we may still be able to help, though a digital picture of the part or information about the type of blind, etc., is the next best thing. Why put up with grime when your blinds could shine? We have done specialty cleaning for clients all over the Chicago region and NW Indiana.